One of Canada’s finest flutists, Joanna G’froerer enjoys an exciting career as an orchestral player, chamber musician, soloist and educator. She has been principal flutist of Canada’s National Arts Centre (NAC) Orchestra since 1992, winning the audition at the age of 20. A native of Vancouver, Ms. G’froerer comes from a family of professional musicians. She studied flute in Vancouver with Kathleen Rudolph, and became the first wind player to graduate from the Vancouver Academy of Music. Her education included summers at the Interlochen Arts Camp in Michigan, and with the National Youth Orchestra of Canada. Joanna studied at McGill University with Timothy Hutchins, principal flutist of the Montreal Symphony Orchestra, and earned a Licentiate in Music from McGill in 1993. Joanna was the first prize winner (winds and brass) of the Montreal Symphony Competition in 1990. Ms. G’froerer performs regularly as a soloist with the NAC Orchestra, having appeared as concerto soloist in over thirty different programs since joining the ensemble. 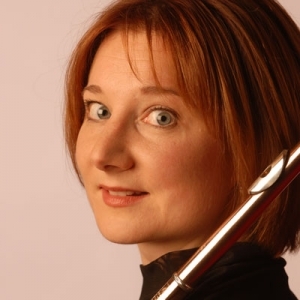 She has also performed as flute soloist with the Vancouver Symphony Orchestra, the Victoria Symphony, the Kingston Symphony, the Quebec Symphony Orchestra, the CBC Radio Orchestra, Ottawa’s Thirteen Strings, and the Peterborough Symphony. Joanna G’froerer has been featured in the Toronto Summer Music Festival, Montreal and Vancouver Chamber Music Festivals, and Quebec’s “Under the Pines” festival, and she appears regularly at Ottawa’s Music and Beyond Festival and Ottawa Chamberfest. Joanna has been a guest artist with the Tokyo and Penderecki String Quartets, and is a member of the NAC Wind Quintet, comprised of the five principal winds of the NAC Orchestra. The G’froerer Gott Duo, with harpist Michelle Gott, has been featured in numerous concert series and festivals, and recently premiered a commission written for them by composer Andrew Staniland, “Exit Eden”. In addition to performing, Joanna was a co-founder of the Classical Unbound Festival in Prince Edward County, Ontario, and served as Co-Artistic Director during its first three seasons. Joanna G’froerer’s commercial recordings include a CBC Records disc of Mozart Flute Quartets with violinist Martin Beaver, Pinchas Zukerman on viola, and cellist Amanda Forsyth. Opus Magazine named it the best Canadian chamber music recording of 2001. In 2002, she recorded an all-Rodrigo disc as concerto soloist with Maestro Maximiano Valdes and the Asturias Symphony Orchestra for the Naxos label. An all-Saint-Saëns chamber music disc, featuring the NAC Wind Quintet with pianist Stéphane Lemelin was named by Gramophone magazine as an “Editor’s Choice” shortly after its release in 2011. As an educator, Joanna has taught at McGill University and the University of Ottawa, and currently is a faculty member at the NAC Summer Music Institute. She has been on faculty at Domaine Forget, the Scotia Festival of Music and at the Campos do Jordao winter festival in Brazil. She has presented masterclasses at universities and conservatories throughout North America.